SPORAH TV: HOW TO PICK THE RIGHT FOUNDATION MAKEUP SPORAH? HOW TO PICK THE RIGHT FOUNDATION MAKEUP SPORAH? I have a strange question for you. 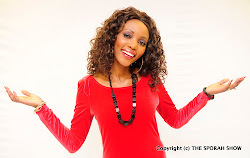 Am a big fan of your show and i love the way you dress, the whole look on your TV Show. I have watched your show since and i think you are a great Talk Show host, I hope one day i get to meet you and shake your hand and say hi. You are a very pretty young woman and I just like everything you do in TV. You seem like your a real down to earth person, Keep up the great work in the show. I just wanted you and others to know how much your fans care for you and the things you do. Here is my problem Sporah, I don't know what makeup color is the best for my face because I use different makeup which looks perfect match for my skin color but i dont get the right result as what i see you on TV. I was wondering how to find foundation that fits my skin tone exactly, PLEASE PLEASE SPORAH, I would love to know your Beauty Secrets. 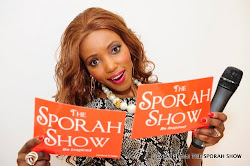 Thank you for making your visit to our blog such a delight and very many THANK YOU for watching The Sporah Show, i so appreciate that. I trully believe my beauty secret is.... drink at least eight cups of water a day. Carry around a hydrating mist if you have dry skin (like me!) and it will keep you dewy. I still think natural beauty is best and save the rest for party's and then you will look extra nice. HOW TO PICK THE RIGHT FOUNDATION MAKEUP? 1. 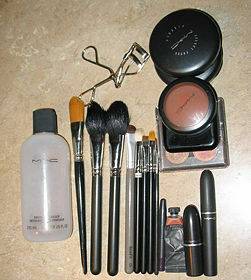 Go to a large store like a department store, large drugstore or beauty supply which carries multiple lines of cosmetics. Online is a bad choice to buy make-up unless you are re-ordering! 2. 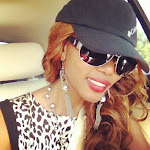 If a beauty technician is available, ask for help or at least ask for an idea to point you in the right direction. 3. Don't try to get too much out of one cosmetic. One foundation can't take off ten years, even out skin tone, even out skin texture, be shine-free, oil free and be 24 hour wear at the same time. Instead pick one or two needs you know you must have in a foundation. 4. Determine the undertone of your skin. Is it pink, yellow, peach, brown etc. 5.Look for a foundation with the same undertone. 6. Choose your shade by matching the color to your jawline. Since it's between your face and neck (the two places that the foundation should match), it's your best bet. If the shades of your face & neck are slightly different, attempt to find one that's in between. HOW TO APPLY THE RIGHT MAKE UP..! HERE'S MY SIMPLE ADVICE TO YOU! * Look for store samples you can try on your skin before you buy the product. * Ask the beauty technician if she can apply your foundation for you after you have purchased it so that you can pick up tips from her experience. * Don't wear foundation when you go out to buy foundation-it will be much too confusing to determine your natural coloring. * Buy a new foundation for every season. Your skin changes shade and texture from winter to summer. I hope have answered your question. Many THANK YOU to you all for your messages, Your views are very important to us and we appreciate you taking the time to share your comments. I saw you on Friday at The Diamonds Special Recognition Awards but unfortunetly by the time i came to your sit to talk to you.. You were already gone. I love you so much girl, you inspired me alot Sporah, i so much hope to meet you someday. Are you in a relationship Sporah? Thank you for encouraging people to stay natural. i agree with you Sporah, i like wearing makeup without people noticing that im wearing makeup? Tuko pamoja Sporah! Tip za ukweli. Asante mamito. I would love to see the pictures we took on Friday Sporah at Diamonds Special Recognition Awads. Please if you have them, I remember taking a picture with you, am not sure on who's Camera. Thank you Sporah, mazoezi ya maji nayaanza sasaivi! Nitakua nakunywa maji Kama kichaa. We love you girl. I like your show Sporah, big up sis. Hey sporah, you inspired me so much girl, You inspired me to be better, You inspired me to leave real.. I Love you so much and I hope to meet you one day or maybe interviewing you one day. hey sporah!! I put this on another forum but I dont think ur gonna check that one so...I was just wondering if u had a yahoo messanger since u have a yahoo email! and If u do I have one 2 and I was just wondering if u could chat!! I know u probably cant since ur soo busy!! But I REALLY WANNA CHAT WITH U!!!! Karibu Zaire (Republic of Congo). I am impressed with the great contribution you are making towards the general awareness of our great black heritage.